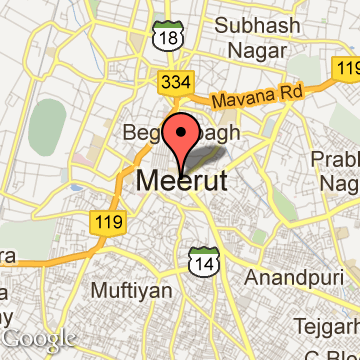 Meerut is a city in the Indian state of Uttar Pradesh. It is an ancient city with settlements dating back to the Indus Valley civilization having been found in and around the area. The city lies 70 km (43 mi) northeast of the national capital New Delhi, and 453 km (281 mi) northwest of the state capital, Lucknow. It is the second largest city in the National Capital Region of India (the largest being Delhi), the 16th largest metropolitan area and 25th largest city in India. It ranked 292 in 2006 and 242 in 2010 in the list of largest cities and urban areas in the world. The city covers an area of about 172 km2 (66 sq mi) while the total area is 198 km2 (76 sq mi), third largest in Uttar Pradesh after Kanpur and Lucknow. It has the 2nd largest army cantonment in the country. The city is one of the largest producers of sports goods, and the largest producer of musical instruments in India. It is also the largest producers of bicycle rickshaw in world. The city is also an education hub in western Uttar Pradesh. Meerut also contained a Harappan settlement known as Alamgirpur. It was also the easternmost settlement of the Indus valley civilisation. Meerut had been a centre of Buddhism in the period of Mauryan Emperor Ashoka (r. 273 BC to 232 BC. ), and remains of Buddhist structures were found near the Jama Masjid in the present day city. The Ashoka Pillar, at Delhi ridge, next to the ‘Bara Hindu Rao Hospital’, near Delhi University, was carried to Delhi from Meerut, by Firuz Shah Tughluq (r. 1351–1388); it was later damaged in a 1713 explosion, and restored in 1867. In the eleventh century AD, the south-west part of the district was ruled by Har Dat, the Dor Raja of Bulandshahr who built a fort, which was long known for its strength and finds mention in Ain-i-Akbari.He was later defeated by Mahmud Ghazni in 1018. A prominent local landmark, the Jama Masjid, dates from this period and is said to have been built by Mahmud's vizir. Shortly after its capture the city was regained by the local Hindu Raja and part of his fortifications, built for the city’s defence, survived until recent times. The first big invasion on the city came later in 1192 AD, from Mohammad Ghori, when his general Qutb-ud-din Aybak attacked the city, and a much worse fate lay ahead for the district, which came with the invasion of Timur in 1398, during which the Rajputs offered a tough resistance at the fort of Loni, where he fought the Sultan of Delhi, Muhammad Tughlaq. But, eventually they were all defeated and all the 1,00,000 prisoners his army had taken in since his invasion of India were massacred, according to Timur’s own accounts in Tuzk-e-Taimuri.Thereafter he went on to attack Delhi, where he again massacred the local population, and returned to attack Meerut town, then ruled by an Afghan chief, Ilias, and took the city in two days, leading to widespread devastation, before heading north once again. After that Meerut was ruled by Jats & then Marathas from whome it was taken by the British. During the rule of Mughal Emperor, Akbar the Great (r. 1556–1605), there was a mint for copper coins here. Meerut is famously associated with the Indian Rebellion of 1857 against the British East India Company. The famous slogan "Dilli Chalo" ("Let's march to Delhi!") was first raised here. Meerut cantonment is the place where the rebellion started when Hindu and Muslim soldiers were given rifle cartridges rumoured to have a coating made of animal fat. The bullet wrapping was to be opened by mouth before use, which affected the religious sensibilities of both Muslims and Hindus as the fat used was alleged to be derived from lard and tallow; cows are held sacred by Hindus and Muslims consider the pig unclean. Meerut soldiers set fire to the bungalows of the English. During this revolt, Meerut leapt into international prominence, when on 24 April 1857 eighty-five of the ninety troopers of the 3rd Cavalry refused to touch the cartridges and after court-martial were sentenced to ten years imprisonment. On Sunday, 10 May 1857, Kotwal Dhan Singh Gurjar opened the gates of the prison. These soldiers, along with other imprisoned soldiers escaped prison and declared themselves free, revolted, attacked and killed several of the British authorities to take the city in their control. This marked the beginning of a widespread revolt across northern India as these soldiers marched towards Delhi. 10 May is still celebrated as a local holiday in Meerut. Meerut Tourism - Get all information on Meerut tourist places and sightseeing tours. Our website helps you plan your next tour and gives you great ideas on what to do, where to eat, where to stay and when to go there. We give the best information from the web to give you precise, meaningful and useful travel guide for leading places to visit in India and from across the world. Our travel information on MEERUT tourist places, tourist attractions, major sightseeing, the best time to visit, the top places to visit in Meerut, the must-see things to see and do, maps, restaurants, hotels, nearby tourist destinations, local public information and more. 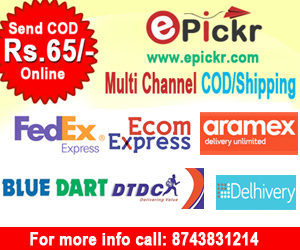 To start with check out information on how to reach Meerut.